Let’s just say, we are temporarily moving north; Scotland to be precise…to the Isle of Lewis. You are probably asking yourself, “why the heck is she taking us there”? 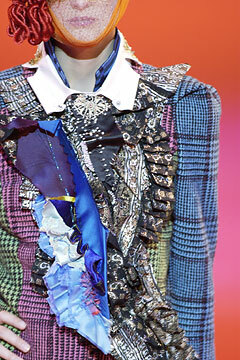 Many years ago, when I was working for Christian Lacroix, one of his early Haute Couture and subsequent Ready to Wear collections featured Harris tweeds. 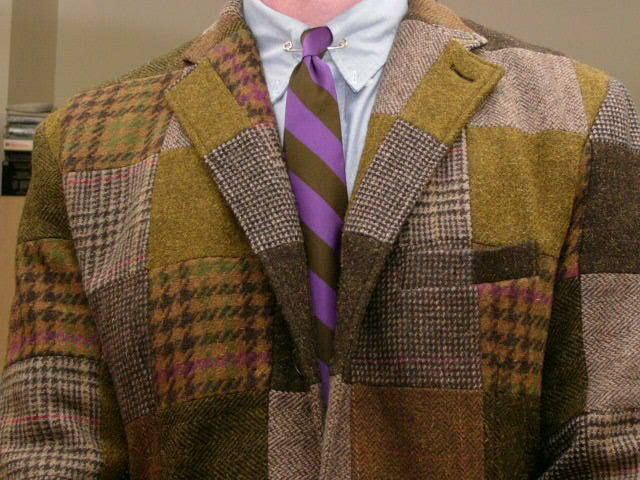 His inspiration stemmed from a sports jacket (similar to the one below) he owned, which was made up from a patchwork of tweed fabrics. It was this interpretation which found its way into some of his most creative Ready to Wear collections in the early 90’s. Today, tweed is finding itself back in fashion. If truth be told, it never quite went out of fashion, it just became less fashionable. The definition of Harris Tweed, is a tweed cloth which has been hand woven by Islanders at their home and finished on one of the Outer Hebrides Islands of Lewis, Harris, North and South Uist, Benbecula or Barra. The cloth must be made of virgin wool which is then spun and woven there. Now you know how the term cottage industry came about! There have been a number of Harris Tweed Acts passed by Parliament; most recently in 1993, ensuring that the only cloth bearing the orb hallmark (ironed or stamped twice on every metre) satisfies the conditions outlined above. Harris Tweed Hebrides, located on the west coast of the Isle of Lewis, now accounts for around 90 per cent of Harris Tweed production. They export to over 60 countries and customers such as Alexander McQueen, Chanel, YSL, Paul Smith, Margaret Howell, J Crew, Rag&Bone, and Vivienne Westwood. 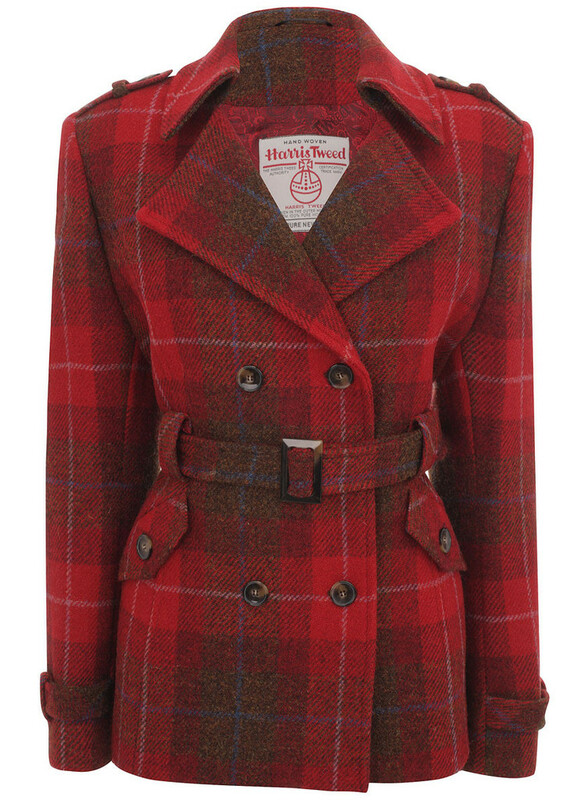 The company was founded in 2007 when the original Harris Tweed was going through a difficult period, and is generally credited with having revitalised the industry and the famous fabric. Skilled artisans can be found throughout the company, representing generations of experience in this craft industry. There are 130 self-employed home weavers whose skills are fundamental to the process and have come to symbolise the definition of Harris Tweed. More than 150 yarns can be made up into thousands of patterns by their highly skilled workforce. Dyeing the wool – not the yarn – is one of the reasons that Harris Tweed is unique and so rich in colour. I like the idea of wearing something imbued with such integrity and history. Just take a look at the Harris Tweed Hebrides website. A real effort is being made to offer a product range that is relevant to the modern consumer. The online website features a limited collection of fashion, accessories and textile. Tweed High- Tops, Ipad, Kindle, phone covers and of course, traditional jackets for women and classic jackets for men. I am partial to the red plaid jacket on the right.